The so-called Texas "redbacks" were issued in 1839. The Texas government printed over two million dollars in redbacks, which were initially worth about 37 cents to a U.S. dollar. ​​​The Conrad Schueddemagen stone home was built in 1852 and is a replica of the Saxony home of Carl Siegismund Bauer who was a stonemason. Its architectural style is decidedly Teutonic. It was built by Carl Bauer, his son-in-law Conrad Schueddemagen and his brother-in-law Ergott Bauer. 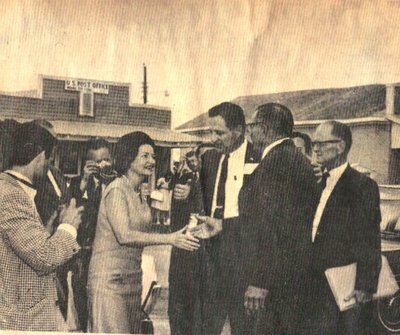 Carl paid for all the construction material and gave the house as a wedding present to his daughter and her husband Conrad. In the mid 1800s when Cummings Creek would flood and become impassable the home would be used as a stagecoach stop. The house has porches upstairs and downstairs on the front of the house. It also had outside stairs from the ground to the upstairs porch. It received a Texas historical landmark plaque in 1964. It features brick floors, German wave glass windows, cedar log ceilings and 2- foot thick native limestone walls, plastered inside and out. 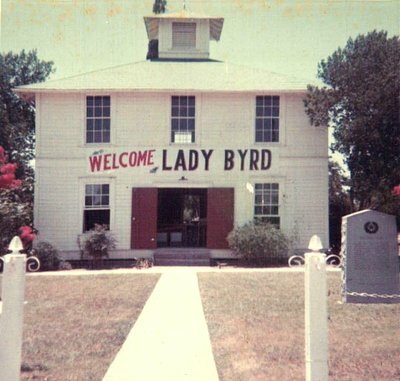 The house was built in the town of Round Top before the town was officially laid out. Owners of the house have been: 1852 Conrad Schuddemagen, 1898 J. J. Kuhn, 1913 Ferdinand Kneip, 1943 Otto Sacks, 1944 Gustav Peters, 1961 John S. Neilson, 1979 Jeannette Burger, who presently owns the home. 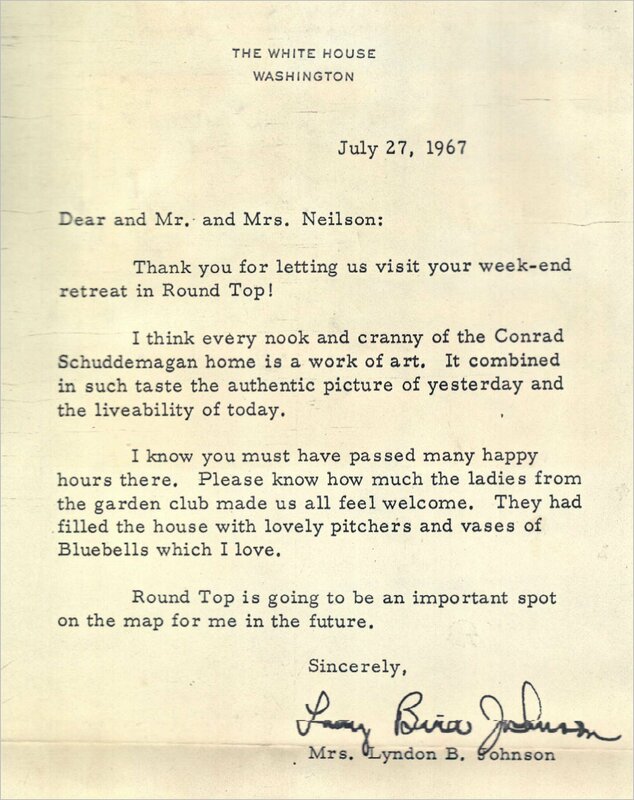 ​You may know it as the Round Top Farms Bed and Breakfast. 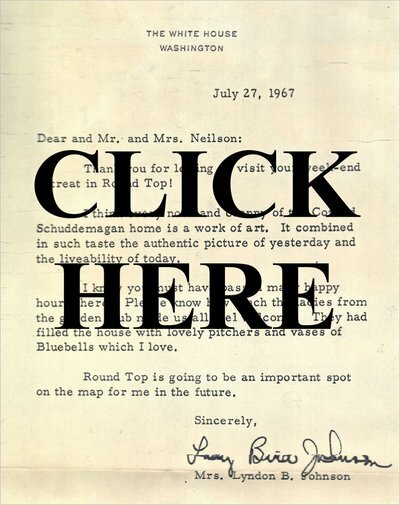 Click on the picture of a letter above to read what Lady Byrd thought of the Schueddemagen House. 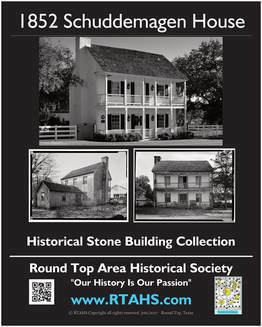 Contact the Round Top Area Historical Society to purchase a print. 16" X 20"
When the town of Round was incorporated in 1870 Francis W. McGuire was appointed mayor. At that time he owned ten acres on Mill Street that later, on April 1, 1871, was bought by William Rummel. There, McGuire operated a steam sawmill, cotton gin and other machinery. 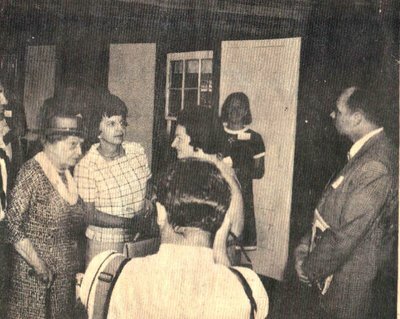 There is no information that a house existed on the ten acres, but deed records do state that a house existed on block 23. That would have been adjacent to and to the south of the ten acres. ​Carl William Rummel, Jr. and Clara Hillebrandt were married January 21, 1868, in Bethlehem Lutheran Church by Rev. Adam Heuthard. He preferred to go by the name of William. It can be assumed that this young couple began planning for a nice home, so when they purchased the ten acres in 1871, their plans began to take shape. More than likely, William’s grandfather was instrumental in this because of his expertise in stone masonry. William’s grandfather was Carl Siegismund Bauer, an exceptional stone mason who had already help construct the Schueddemagen house for his daughter and son-in-law, Conrad Schueddemagen, in the 1850s. 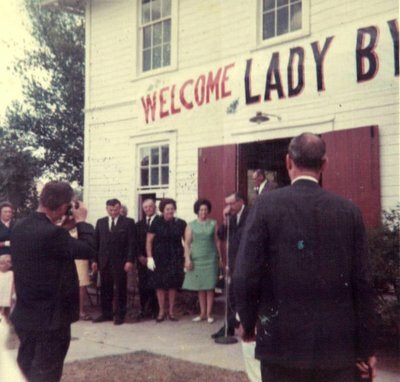 He was also the planner and overseer for the construction of the Bethlehem Lutheran Church dedicated in 1866. It is assumed, although undocumented, that the beautiful stone house which is even today, known as the Rummel Haus, probably was built in 1871 or 1872. Carl S. Bauer, after a brief illness, passed away on January 27, 1873. 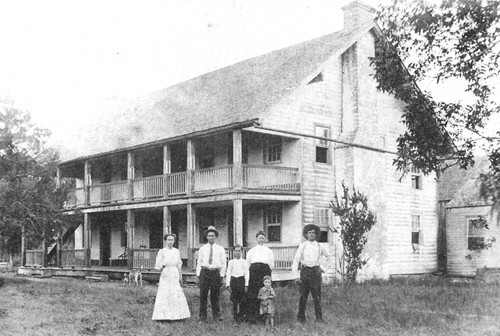 William and Clara reared a family of six children, three boys and three girls, in Round Top. They are buried in the Bethlehem Lutheran Cemetery as is Carl Bauer. Johann Traugott Wandke (1808-1870) immigrated from Prussia to nearby La Grange with his wife Christiane and two daughters, Karoline and Christiane, in 1855. About 1860 Johann and Christiane came to Round Top to live in the home of their daughter Karoline and her husband Zoellistin Pochmann. The Wandkes built their own native stone home/workshop at this site in 1863. Johann was a skilled mechanic and cabinetmaker but is best known for the high-quality organs he crafted from native cedar for several churches in the area including Round Top's Bethlehem Lutheran Church. To hear Wandke Organ click on video above. For more information on the Wandke family click below. The Bethlehem Lutheran Church was completed in 1867 and still remains in use to this day. Pastor Adam Neuthard (1828 - 1902) was its first pastor for 37 years. He was a master of Hebrew, Greek, Latin, French, and German. During Pastor Neuthard’s tenure he baptized 2,450 children and confirmed 1,450 young people and presided at 1,000 funerals. The church itself is constructed of rock quarried from the side of a hill on which the building is located. The two-foot thick walls supported by the sloping hillside, were built of heavy flat rocks. For the first 70 years all sermons in the church and school classes were conducted in German. The amazing Pastor Adam Neuthard is one of the cherished legends of Round Top, Texas. # 9. 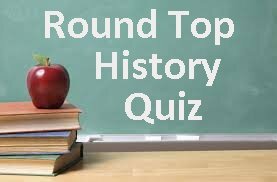 How much did it cost to build the Round Top, Bethlehem Lutheran Church in 1866? ﻿﻿﻿﻿Every stagecoach route in Texas stretched along a series of stopping points where drivers could hitch on a fresh team in 10 minutes and be on their way again. Three times a day, passengers could get a hurried meal. ﻿Long-haul stages﻿ tended to run 24-hours-a-day, but some stations featured overnight accommodations. The distance between stops varied depending on the terrain and the availability of water, but 15 to 30 miles apart was the norm. ﻿By the 1850s﻿ Round Top had a tri-weekly stagecoach stop in town. Over the years of stagecoaching there were three known stagecoach stations outside Round Top. 2. "Townsend" half mile south of Round Top on SH 237. 3. "Old Round Top Place" half mile north of Round Top on FM 1457.